It's 2016. 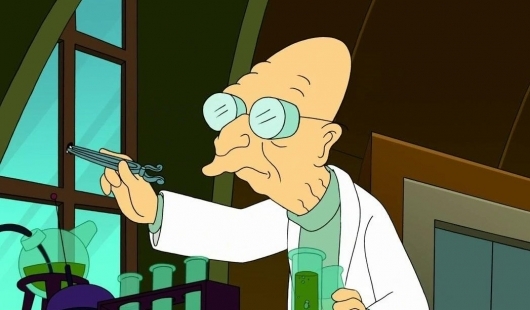 Everyone has their phone on them at all times, blue light is screwing up sleep patterns, and everyone will eventually walk like Professor Farnsworth from craning over to look at their phones constantly. But there should still be some sacred times when you just leave your phone behind. For instance, when you're competing in the Olympics. That doesn't appear to be a universal, though. In a bout on Monday, French fencer Enzo Lefort was knocked out of the round of 32 by his German opponent, Peter Joppich. In addition to knocking Lefort out of competition, Joppich's epee skills knocked Lefort's phone out of his pocket. Yes, Lefort had his phone on him while competing in the Olympics. Moreover, he didn't even have it very securely in his uniform, because it just dropped out right on the mat in the middle of the competition. That might be a first in Olympic competition. Although, if a Dragonite popped up unexpectedly on the floor, he'd totally be ready for it. The lesson? Don't bring a phone to a sword fight.